The Youth Fellowship (YF) caters to young people aged 13 to 20 years. It serves as a platform for youth to discuss contemporary issues and how it relates to Christian living. It seeks to equip them with the correct principles which will guide them in making the right decisions in their lives; and nurture them as they develop their own gifts. Through a partnership between adult mentors and the youth themselves; the fellowship gives opportunities for members to decide the direction of the fellowship, as well as to exercise leadership through leading worship, planning and executing activities. Through these activities, the YF hopes to draw the youth closer to each other and forge a strong bond as they learn to serve God together and be a source of support for each other through their growing years. Adult mentors serve as real-life role models (with their own imperfections and faults) as they share their own struggles, challenges and triumphs in their walk with God. They serve to cultivate, encourage and nurture the youth as they develop into adults. The eventual end-point of the YF is to build up spiritually mature, God-fearing, independent young men and women who will form the next generation of church leaders. Sisters’ Fellowship aims to help sisters to grow spiritually, exercise their faith in their daily life and to grow in faith. We encourage sisters to participate in the mission work of our church, daily devotion, reading of Bible, prayer and being faithful stewards of God. We have a lot of exciting programs. 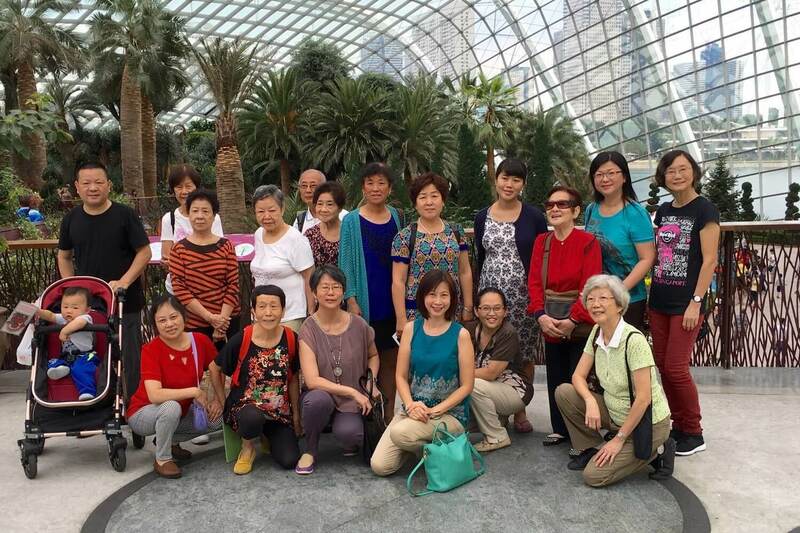 Beside activities in church, we will have sumptuous lunch outside on Mother’s Day and also visit various attraction in Singapore. Our activities include special topics, end of year sharing, videos and worship. In particular, the sisters love to learn new songs of praise. We also encourage sisters to read and share magazine articles. After fellowship, sister will mingle and enjoy homemade snacks. 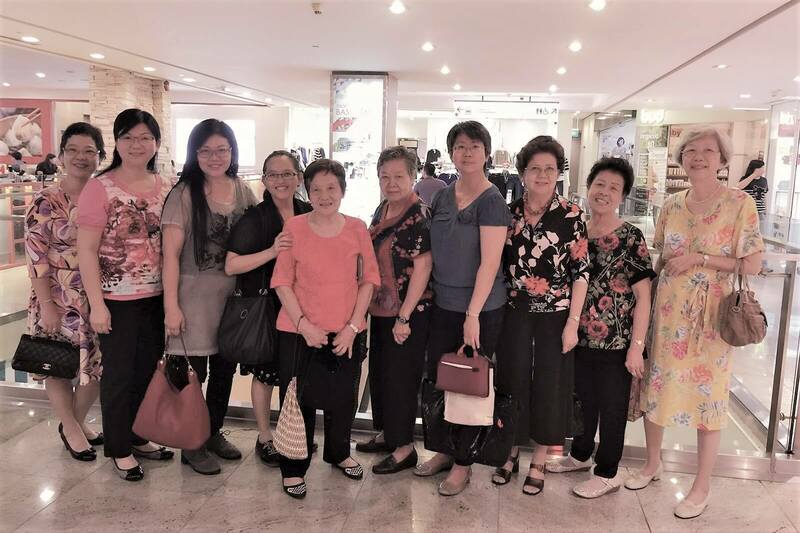 The Sisters’ Fellowship also actively participates in the neighbourhood gospel tract distribution of the church and the activities of the Singapore Baptist Convention. Every year, we will visit a Baptist old folk’s home and sing songs of praise, observe the Lord’s supper, listen to sermon, play games, worship and enjoy delicious food together. We also form visitation groups to care for members in Christ and to visit the homes of brothers and sisters during Chinese New Year. Sisters’ Fellowship meets on the first Sunday from 1pm to 2:30pm. Special outdoor activities are sometimes conducted on Saturdays. 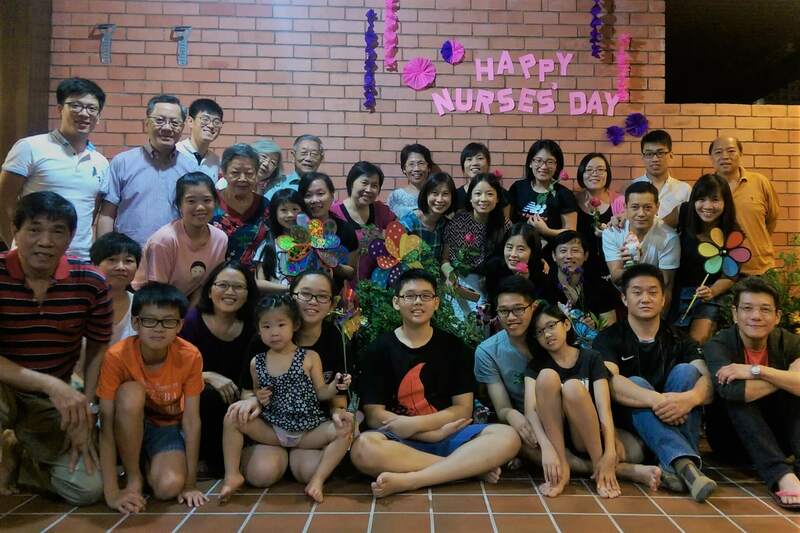 Jia Yuan Fellowship was established in Apr 2008, after having witnessed the lack of faith in many nurses, students and workers from China and the absence of pastoral care and concern received by them. Thanks be to the Lord, many people have come to know Jesus through this fellowship, and having had their lives changed, began to commit themselves in serving the Church. 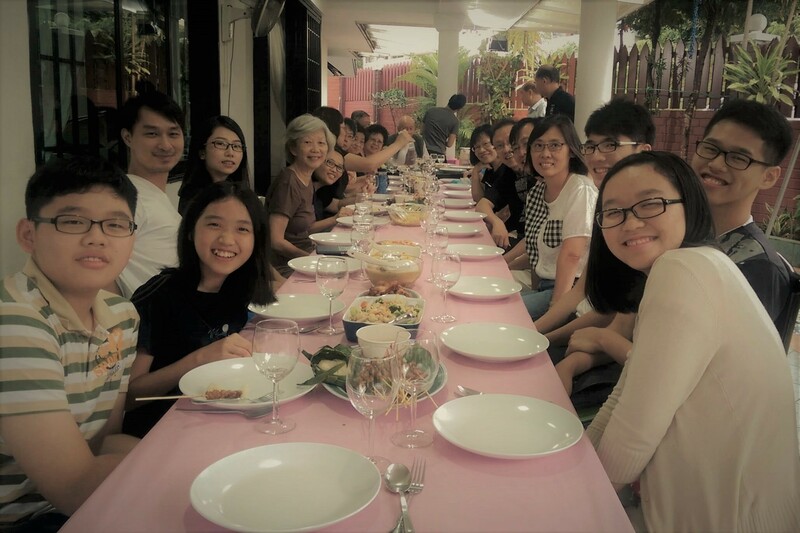 Jia Yuan Fellowship meets every first Saturday of the month at 6:30pm, beginning with a feast of love, followed by gathering. Programs include praise and worship, sharing, Bible study, performances, baking and crafts, as well as games etc. 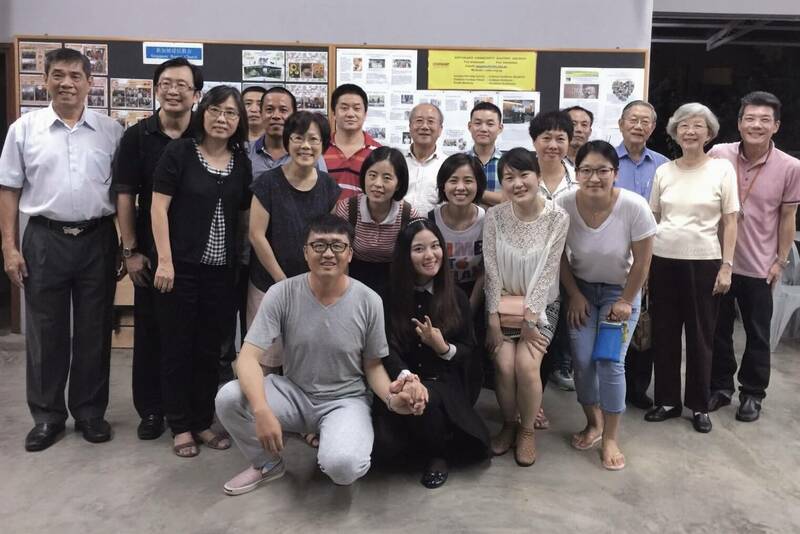 In 2014, Jia Yuan Fellowship organized a trip to Kluang District, Kota Tinggi, Malaysia. Current attendance on average is 25 persons, contact person is Sister Dan Yang. We warmly welcome foreign brothers and sisters to join our family. 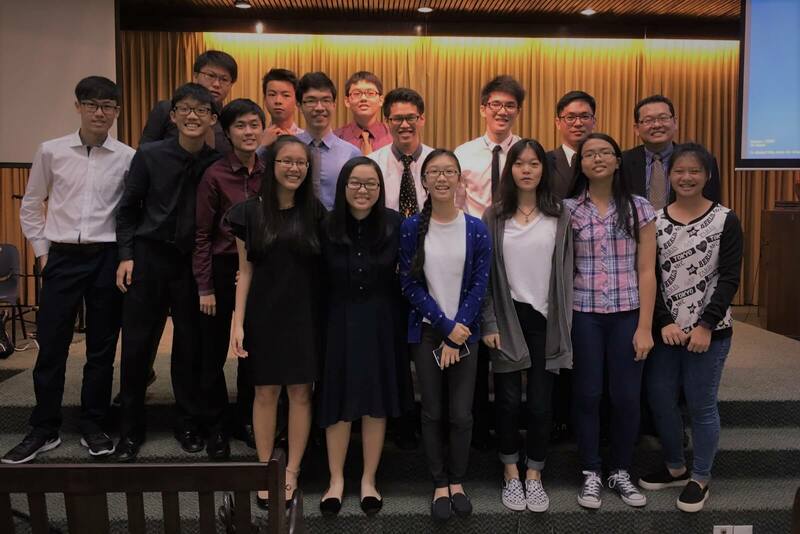 The objective of the China Workers’ Fellowship is to provide a platform for Chinese blue collar workers in Singapore to come together and worship our Lord on regular Sunday evenings. In addition, it hopes to create opportunity to share the gospel whenever a new member is introduced/brought to our church. Weekly program includes worship, sermon and bible study. Special activities include annual Chinese New Year’s eve reunion dinner and Mid-Autumn Festival celebrations. Friday Rhapsody is a fortnightly, light-hearted programme for folks from all walks of life. We organise outings, conduct handicraft and cooking sessions, lead in morning exercises and songs of praise, hosts talks and plan many other activities. We meet on the second and fourth Fridays of each month (except January, June and December 2015) from 9.30am till 2.00pm. Interested parties may contact Pastor Chiow Siew Khim. Regional Bible Study and Prayer Group was established in Jan 2015, divided into 3 groups, led by pastors and deacons. Having observed there were few activities which stimulates bonding and weak cohesion amongst members of the church, smaller groups were set up to help build a sense of belonging amongst members, and cell group ministry started to help lead new friends to blend into the church. We hope to develop a community which extends love and help towards each other and which looks out for and encourages each other. Gatherings for the various regional cell groups is primarily on weekdays, once a month, at a member’s house or in church. Current attendance is about 45 people. We learn with each other through exploring God’s word. Monthly topics for discussions is fruits of the spirit. Programs include ice-breaking or other games, sharing God’s word, small group discussions and prayers and intercessions. You are most welcome to join us! Please contact our pastors or deacons directly for details and gathering dates and time.